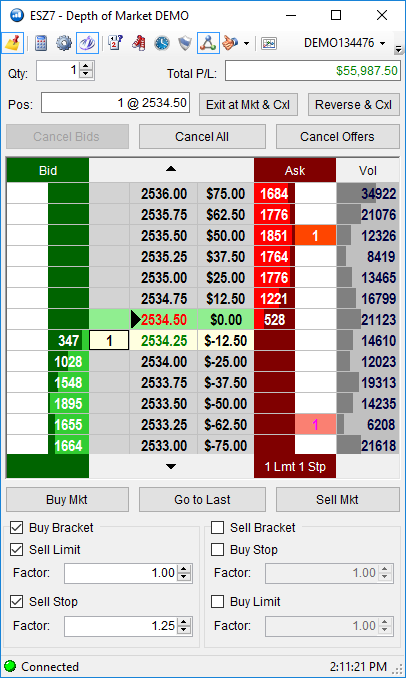 GAIN Trader is an easy to use electronic trading platform that handles all of the complexities associated with trading and order management. 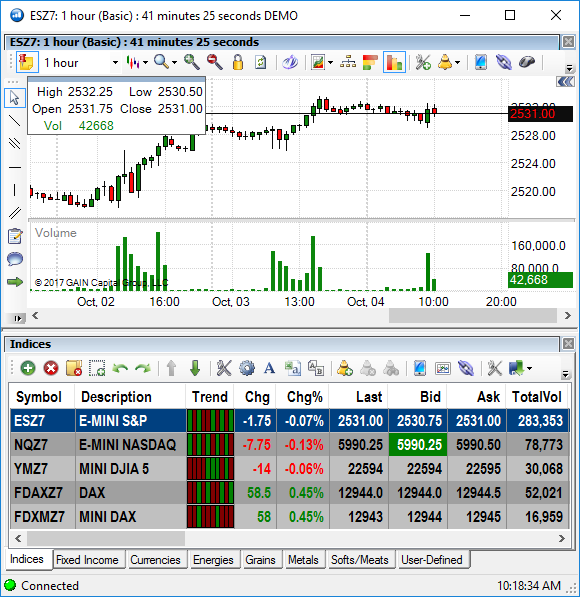 From streaming quotes to full order desk communication, GAIN Trader's interface gives you instant access to a full suite of tools. Get the most from your market visualizations! 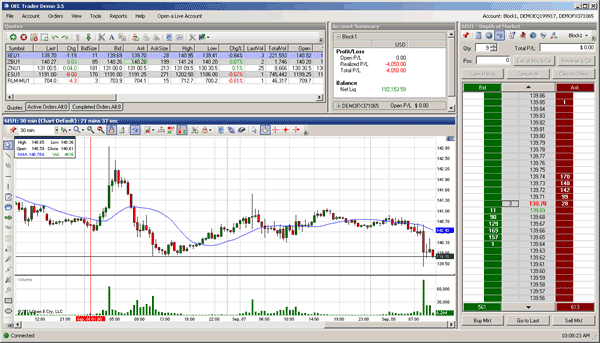 With so many advanced charting features you can trade and monitor your activity all from one charting window. Different chart styles, dozens of indicators and unlimited amounts of custom alerts are just the beginning. The simple but powerful futures trading platform lets you discover new ways to "see" the market - and act on it. 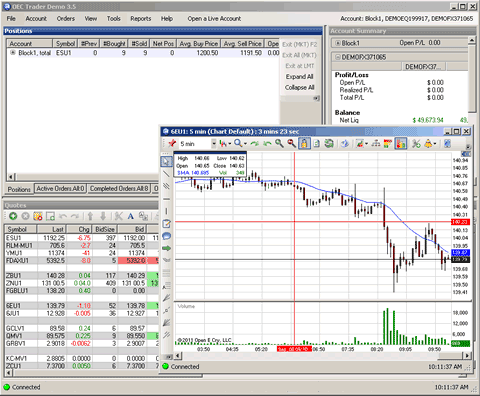 GAIN Trader's indicators and strategies are built to suit your custom trading needs. 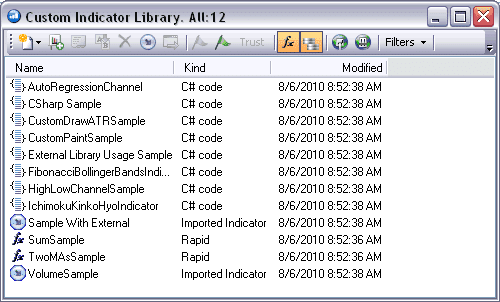 You can run and back-test strategies by simply using our own wizard, C# or EasyLanguage. You can see alerts on the charts when conditions are met. Get inspiration from other developers by purchasing indicators from our indicator store, or benefit from the time you put into your custom indicators by selling your indicator in the store. Your trading software shouldn't hold you back. That's why GAIN Trader offers multiple order tickets from Standard, One Cancels Other (OCO), One Sends Other (OSO), Depth of Market (DOM), Multi–bracket and Basket (parked) orders. 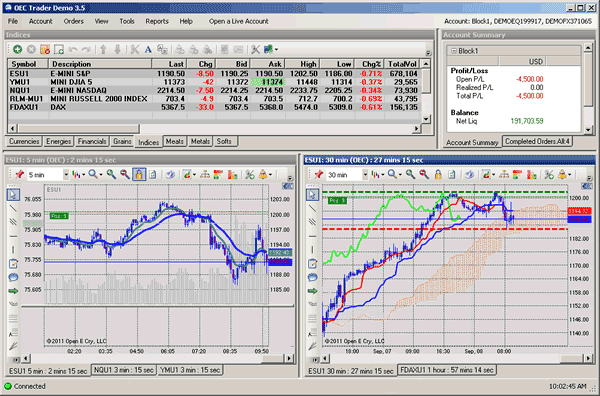 This allows the trader to pick their trading method and focus on their trading instead of being limited by the software. 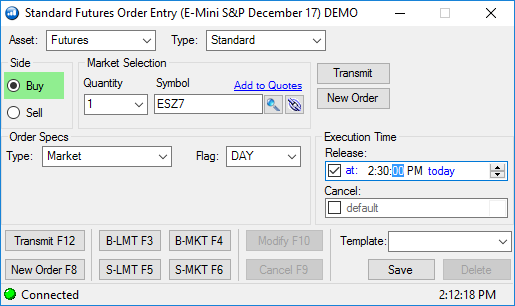 GAIN Trader offers multiple advanced order options (MOC, MOO, Iceberg) and algorithmic orders (time slice, enhanced time slice, time activation, auto cancel) in addition to position reversing and parked orders. Create your own strategies and automatically execute them in simulated or live environments. 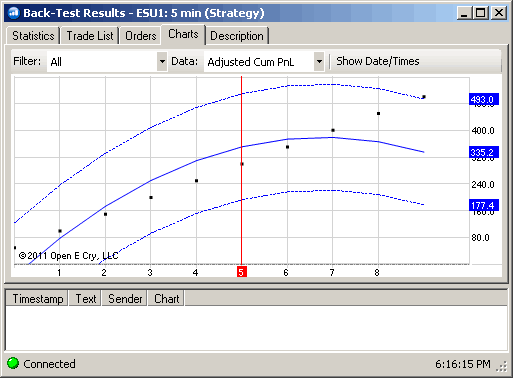 You can even back-test your strategies to see how they performed in previous market conditions. 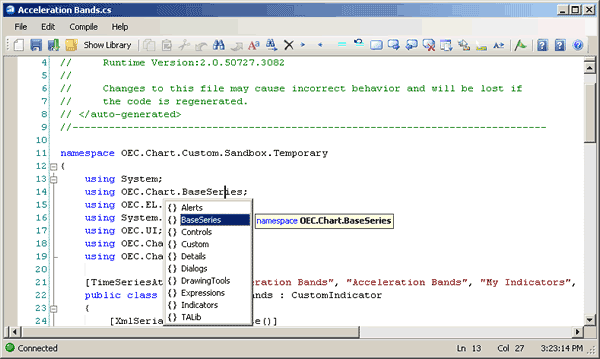 AutoTrade supports C# and EasyLanguage programming languages. Instead, connect to each media outlet´s RSS News feed and the news is delivered to you! Stay connected to world news and events by consolidating all your news into one panel within your trading environment where you can filter by contract as well as search the content. Automating your risk management helps remove the emotional trauma and discretionary mistakes made during panic situations. If you wait to hit the panic button when adverse conditions arise, it can be too late. Add confidence to your risk tolerance with smooth, customizable automation. Rule based execution can help protect you when the markets move against your positions. 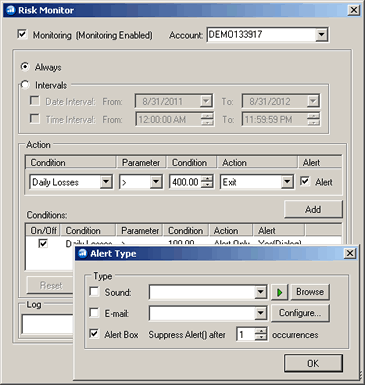 Use a combination of alerts and liquidation to guard against market impacts. Take the management out of managed accounts! 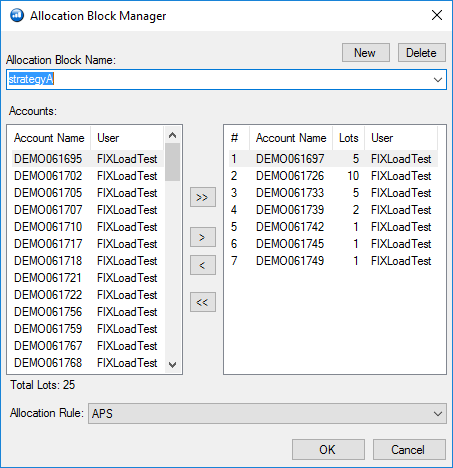 By allocating your trades across multiple accounts using the GAIN Trader Allocation Blocks you can save time, reduce mistakes and concentrate on the important part - trading. Our customizable, rule-based system is completely integrated into our accounting system so there is no support needed. 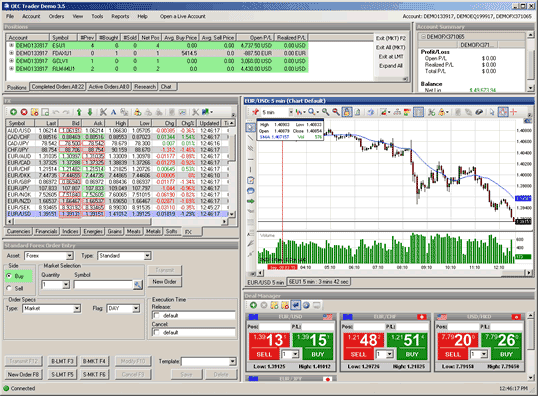 Customize your trading environment the way you want. Whether you have a particular trading style or certain asset classes you need to access, GAIN Trader is here to help your trading experience. 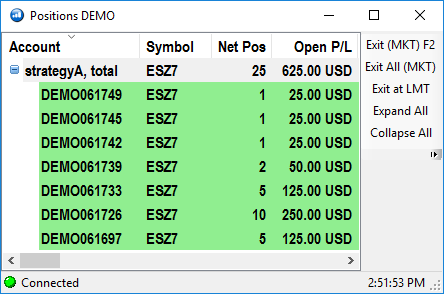 You can also save and manage multiple layouts for different trading situations so the software works for you instead of dictating how you trade.